Let’s get down to brass tacks here: what really is the difference between boys and girls? We’ve got pink and blue. Barbie and GI Joe. Dora and Diego. The differences start young and they stick for life. They exist in grade school, high school, college and b-school. They translate right into the business world, and darned if those differences don’t rear up on the golf course as well. Boys think they are entitled to play golf if they can find their way to the golf course. Girls think they have to excel at the game before they go out on the course. I’m here to tell you: the boys are right in this instance, without question. Name one other endeavor in your life where you expect to do something as well as the BEST IN THE WORLD before you make it a hobby? Would you expect to play the piano like Elton John? To sing like Aretha Franklin? Time to re-calibrate those expectations. There is a bare minimum knowledge and skill level one should have before going out to play golf. You should be able to propel the ball down the fairway with some regularity, preferably in the air more often than not. You should have an understanding of basic etiquette, especially an understanding of how to maintain pace of play. You should have some clue about the rules, but not much more than a clue because the rules of golf are endlessly complicated. That’s it. Guys get this. They understand that the real point of golf is to go out and have fun, spend the day with some buddies, hit a couple of good shots, lots of lousy shots, have a few drinks, and go home. Come back next weekend and repeat. Or just show up at the company outing and smack a few balls around for 18 holes. As a result, men are far more likely to reap the business benefits of golf, simply because they are out there, not because they are doing a good imitation of Jack Nicklaus. Moral of the story: golf imitates life in that women feel they need to be “better than,” just to keep up. 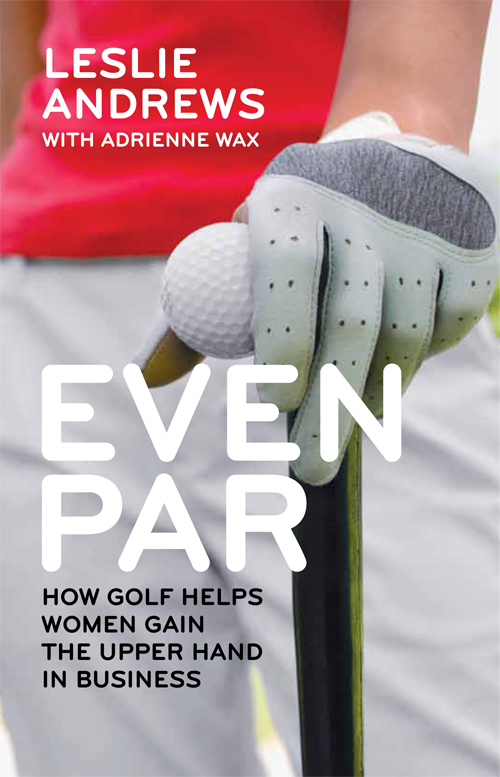 As it pertains to golf, women need a context in which to develop reasonable expectations – the basic expectation being that you play, not that you play particularly well.